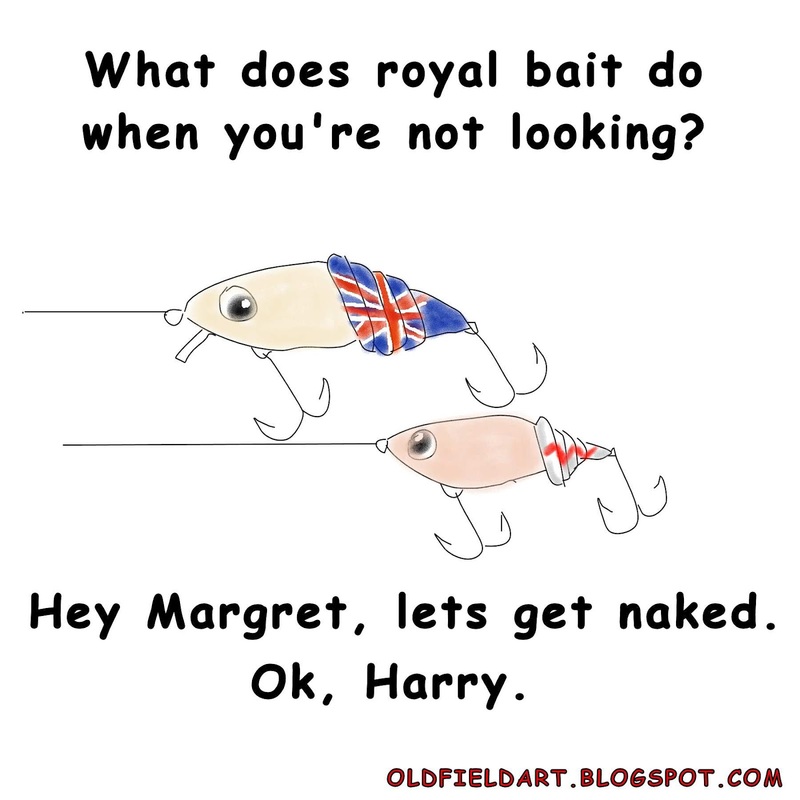 BaitRageous: Toons of the week, Prince Harry, Pearl Rig, and Bob. 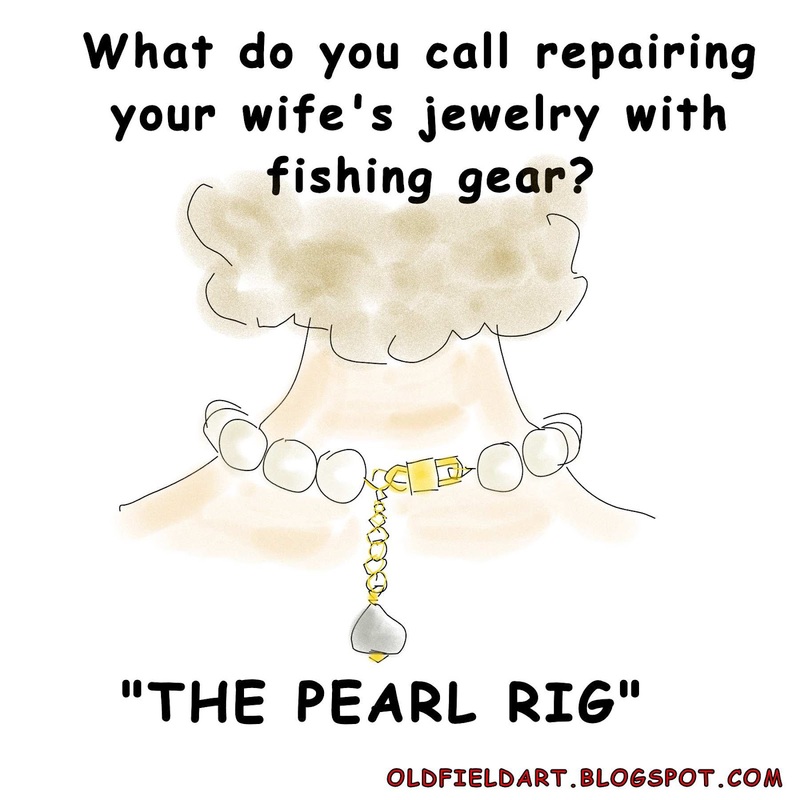 Toons of the week, Prince Harry, Pearl Rig, and Bob. 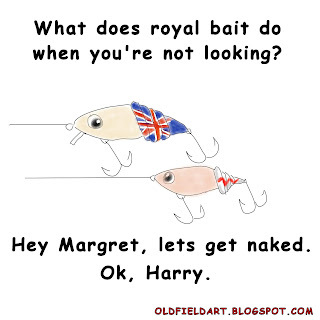 I couldn't resist doing a little humor about Prince Harry. A fishing snap swival & fishing weight, brillant. 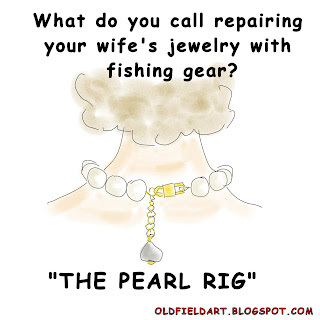 For the non-fisherman, a pearl rig is a type of fishing system sometimes referred to as the Alabama Rig. An almost famous idea that just didn't make it. 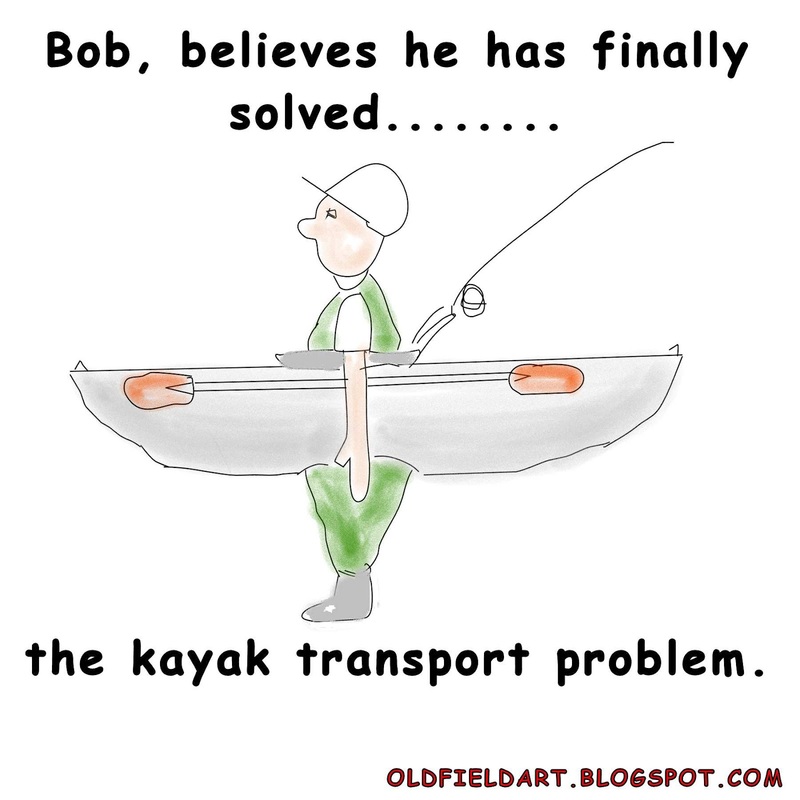 Kayak transportation. 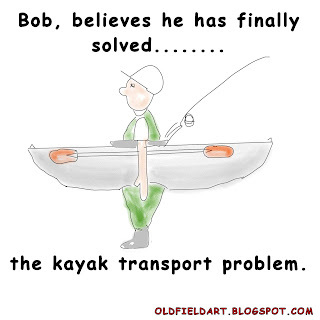 Bob wouldn't be the first one to have a brilliant idea go down the toilet.